Budget phones have come a long way in the last few years. The industry has reached a point where you can buy a really good smartphone with only a fraction of the price of flagships. Today we discuss the options that 2018 had to offer in the category of budget phones. Take a look below in case you are trying to decide on a new smartphone. 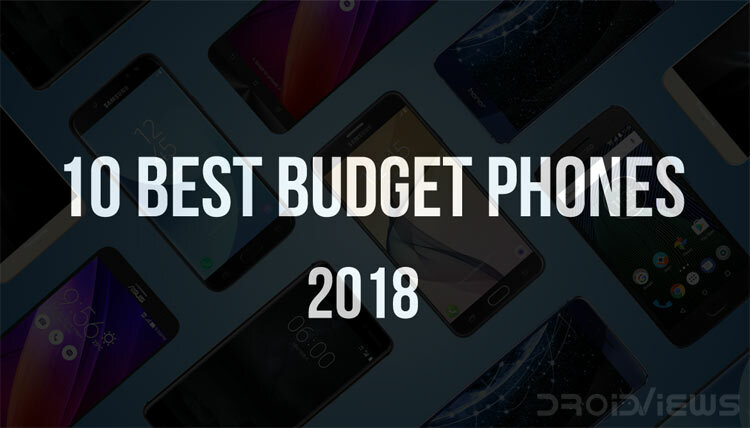 Here’s or list of the best budget phones of 2018. In case you didn’t find a device that fits your needs in that one, then this article might be the right thing for you. As we’ve already mentioned, cheap smartphones are getting good and great smartphones are getting cheap. Read on and find a device suitable for you in a price compelling for your wallet. 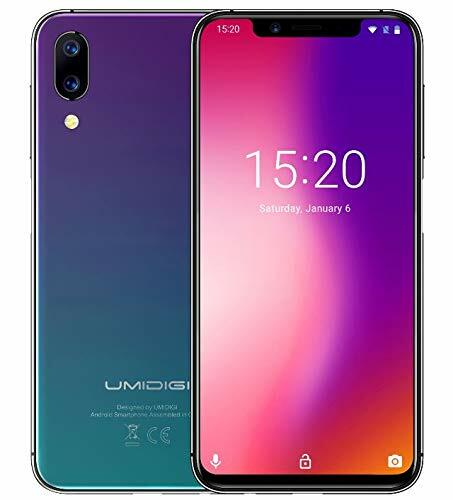 Flagship phones introduced the notch in order to decrease the size of bezels, thus making the screen larger while keeping the phone to a relatively normal size. Honor 8X brings that trend to budget phones, offering a whopping 91% screen to body ratio. The best part? To enjoy this great display you have to pay only around 250 Euros depending on the market. On the interior, 8x is powered by an octa-core CPU and you have a 4GB or a 6GB option for the RAM. 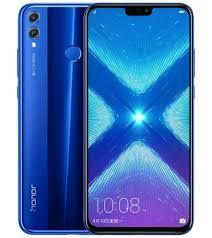 On the software department of Honor 8X, you will find Android Oreo (8.1.) with Huawei’s custom EMUI skin on top. 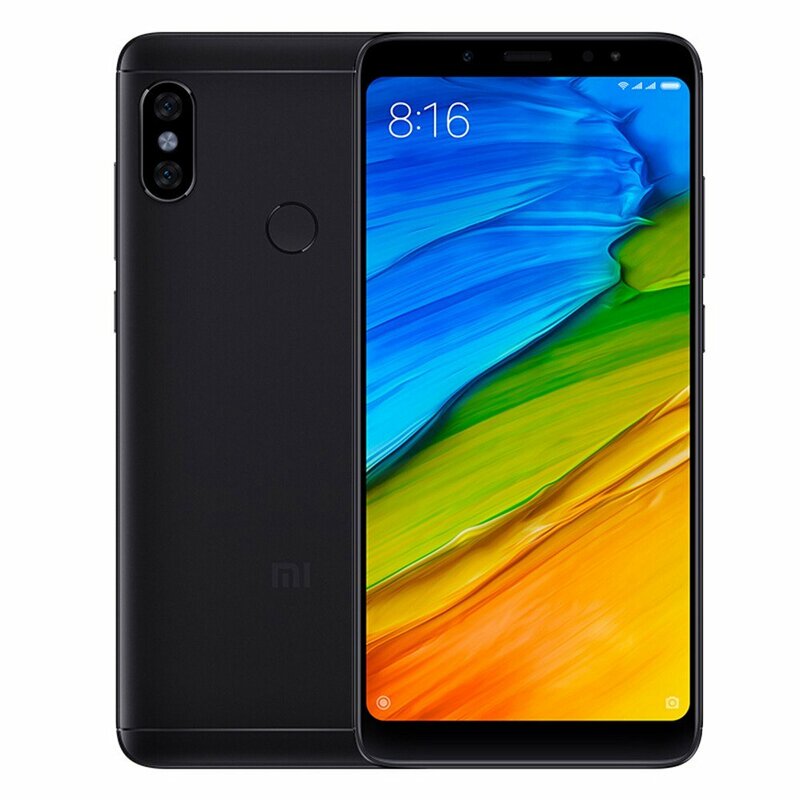 As far as the internal memory goes, you can opt to buy either a 64GB or a 128GB option with the latter being a bit more expensive, while a microSD slot is available. For the camera setup, Honor 8X has a 20MP (f/1.8) main lens coupled with a 2MP depth sensor. In the front, the phone rocks a 16MP (f/2.0) camera which will leave even the most demanding selfie fans, satisfied. On the downside, the USB-C option is not available, making your charges a bit slower. Huawei is making waves in 2018 making even Apple step aside and for a good reason. 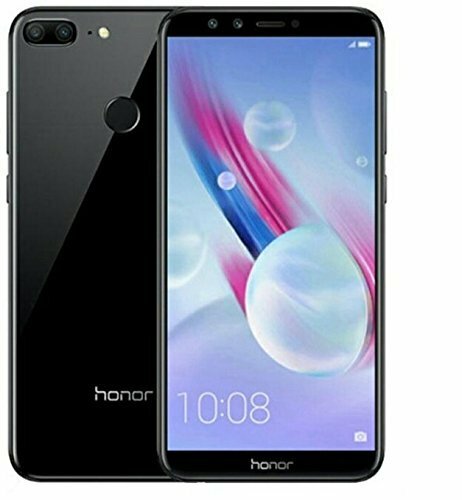 In case the 250 Euro price tag of the 8x seems a bit expensive for you, you could instead go for its cheaper cousin, Honor 7x. While the device still has bezels, it boasts a relatively big 5.8” display. It is powered by Android Nougat out of the box but it is upgradeable to Android 8.0. Its specs are really good as the device has an Octa-core CPU and either 3GB or 4GB of RAM depending on the variant you choose. You can find it 50 Euros cheaper than the 8x, at around 200 Euros. As for the cameras, the Honor 7x has a dual setup in the back (16MP + 2MP depth sensor), while it rocks an 8MP camera in the front. This one is a pretty recent device since it was only released in July of 2018. Curiously enough though, it doesn’t feature a notch. That being said, the 5.99-inch touchscreen is coupled with a relatively small top and bottom bezels, making the device feel smaller than it actually is. 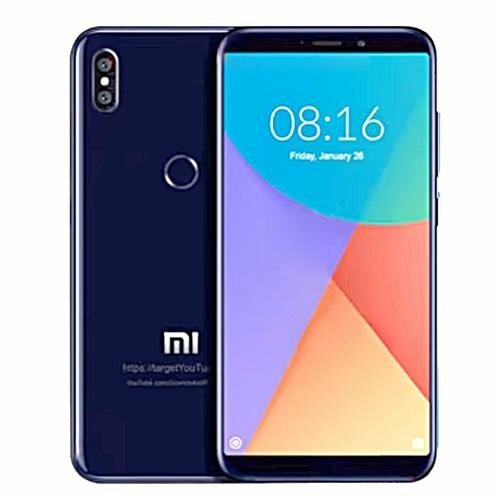 In the inside, the Xiaomi Mi A2 is powered by an octa-core processor (Snapdragon 660) coupled with either 4GB or 6GB of RAM depending on whether you choose 32, 64 or 128GB for internal memory. The device has a dual camera setup on the rear, featuring 20MP (f/1.8) and 12MP (f/1.8) lenses. On the front, Mi A2 features a single 20 MP camera for your selfies. Finally, in typical 2018 fashion, the device features both a fingerprint sensor and a USB Type C, making it a great bargain. Its price is around 200 Euros, depending on the market. Pocophone F1 is probably the best value for money offer of the year. Apart from the awkward and kind of funny name, this device has it all. The display is quite big at 6.18 inches giving the device a nice 82.2% screen-to-body ratio. F1 features a powerful Snapdragon 845 chipset with an Octa-core processor and an Adreno 630 GPU. You can also choose between a combination of 256GB internal and 8GB of RAM or 128/64GB internal and 6GB of RAM. The best part is that the device features a microSD slot up to 256GB. Spec-wise, Pocophone f1 is a beast. As far as the cameras go, Pocophone features a dual setup on the rear, with a combination of a 12MP (f/1.9, dual pixel) and a 5MP (F/2.0, depth sensor). On the selfie department, F1 features a 20MP (f/2.0) camera which also has HDR capabilities. I am sure it won’t disappoint. You can find it for around 250 Euros. 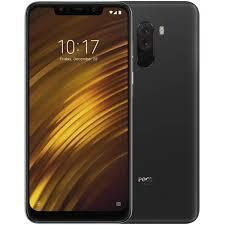 Find more about Poco F1 here. Its the 3rd entrance for Xiaomi on this list and for a very good reason as well. Note 5 has a 5.99 inches display and again doesn’t feature a notch, just like the Mi A2. Note 5, is powered by a Snapdragon 625 chipset and features an octa-core CPU and an Adreno 506 GPU. As far as the RAM goes you have either a 4GB option along with 64 gigs of internal memory or a 3GB option along with 32 gigs of internal. The best part of this device is its huge 4000mAh battery coupled with its 150 Euro price tag. The camera setup is good as well. The device features a 12MP (f/2.2) camera on the back and a 5MP camera on the front. It comes with Android Nougat out of the box, but it is upgradable to Oreo (8.1.). With its 150 Euro price tag, this phone seems too good to be true. The One Pro features a 5.9-inch display which takes up almost 90% of the front surface. The company also decided to put the fingerprint sensor of the phone to the side instead of the back, giving it a more clean look. 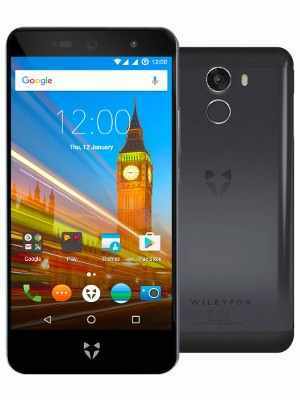 An Helio P23 SoC is what powers this phone and it is coupled with 4GB of RAM and 64GB of internal storage. In the back, you will also find the dual camera setup with a 12MP (f/2.0) main lens and a 5MP secondary one. The One Proo, curiously enough also features wireless charging out of the box and in the OS department it features the stock version of Android 8.1. Finally, the battery is 3250mAh which is actually smaller than the one that you find in the non-Pro version of the phone. 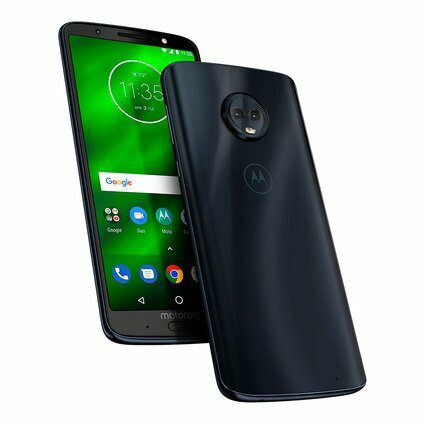 For the final phone of the list, we chose Moto G6 Play. Motorola has been for years the go-to brand for budget phones. Once more, for a good reason. What sets this phone apart is its big 4000mAh battery. If you want a phone that can get you through a whole day (and more) on one charge then the G6 Play is for you. The best part about that battery though is that it supports fast charging. The only disadvantage of the phone is that it is made out of plastic, which makes it feel less premium. The 160 Euro price tag though, makes it a pretty good deal. In the technical part, Moto G6 Play has Android 8.0 (Oreo), a Snapdragon 430 octa-core processor and 2GBs of RAM. It offers relatively worse camera options than the other phones in our list as well, with a single 13MP rear camera and an 8MP front sensor. Huawei kicks things off again with its affordable but great phones. 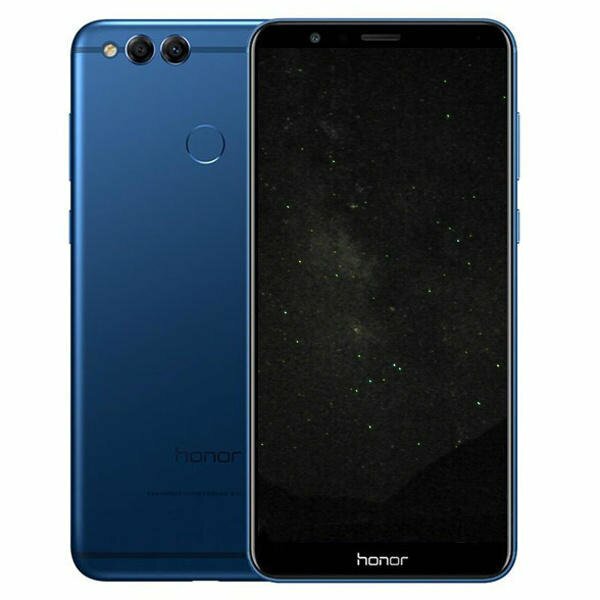 This time is Honor 9 Lite in the spotlight and its 160 Euro price tag sure makes it worth it. Its design is beautiful and its glass back and aluminum sides make it feel really premium. In the interior, you will find a Kirin 659 octa-core CPU, 3GBs of RAM and 32GBs of internal memory with a microSD option available. The device is powered by Android 8 (Oreo) but we doubt it will get upgraded to Android 9. The device rocks a dual camera setup both in the front (13MP + 2MP) and in the rear (13MP + 2MP). On the drawbacks side, the battery life and the relatively weak processor are the two things that keep the device from being great. Although this phone could use a smaller or easier name, it nonetheless is a good budget device. While this device is relatively old now, it can still hold a candle against newer options on our lists. A few things that this device has going for it, are its USB-C support as well as its FullHD screen and quick charge functionality. As far as specs go, Swift 2X is powered by a Snapdragon 430 octa-core CPU and also has 3GBs of RAM. On the downside, though its Adreno 505 GPU may make it hard for you to play high-end games. The device’s battery life is decent to good as well, averaging a day without needing a charge. For those of you that want to have the newest Android experience, Swift 2X might not be suitable, since it is powered by Android 6.0. The fact that you can buy this phone for around 150 Euros though, makes the Swift 2x an attractive device. 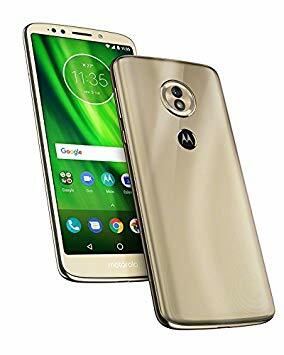 The contenders for the best budget phone always seem to be the same, seeing that another Motorola device enters our 2018 list. While it is a bit more expensive than the other options on our list, it still is an affordable and great device by today’s standards. The phone features a premium design, a great camera and all the goodies you expect in a contemporary flagship, including a fingerprint scanner. Its Snapdragon 450 CPU and 3GBs of RAM make sure that you get a smooth Android Oreo experience. Moto G6’s dual rear camera setup (12MP + 5MP) can also help you decent to good photos even under no favorable conditions. On the front, G6 rocks an 8MP lens for your selfies. On the downside, its big bezels make it feel a bit old fashioned but depending on how you feel about the notch, that may be a good thing. In case you are looking for a good budget phone, we hope you will find it on this short list. If you don’t, though, don’t worry. We’ll soon be coming with another list. Thanks for reading!